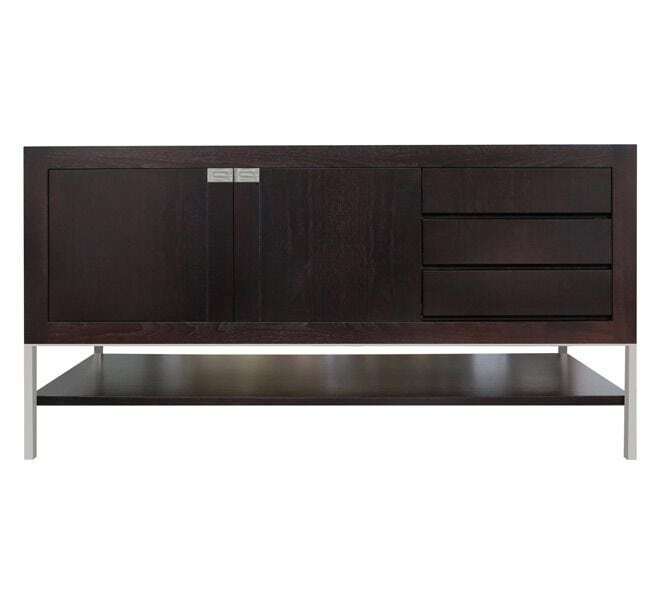 Custom made wooden credenza on slim metal frame with four legs. Unit with three drawers, a 2-door cupboard, internal and external shelving. Designed to include a marble panel at the top, rectangular metal door handles, adjustable internal shelf, hidden finger pulls on the drawers, NovaSuede lining and cutlery dividers. Finish: polished nickel legs, dark stain, straight grain walnut timber finish, Calacutta D’Oro marble. 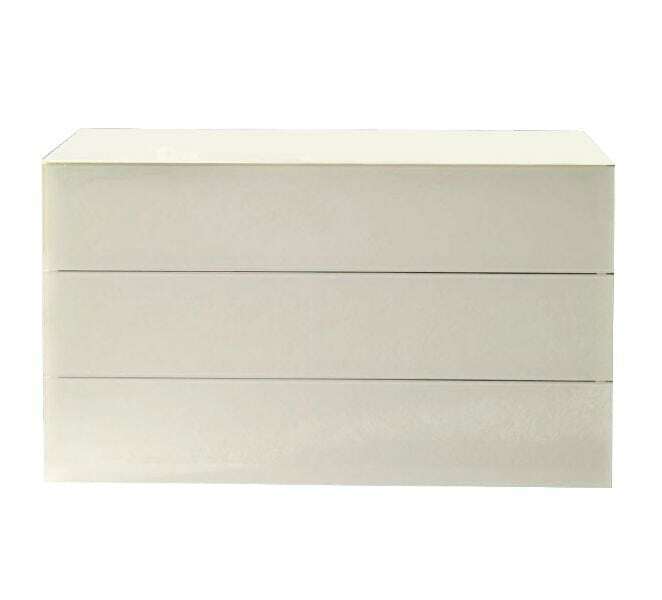 Options: removable open top timber box.